OOHHHHHH! I'm so glad I just ordered this die, because I would have had to kick myself once I saw your simple, beautiful card if I hadn't! You're always an inspiration! Stunning in its simplicity!! Love that snowflake! Gorgeous snowflake!!! 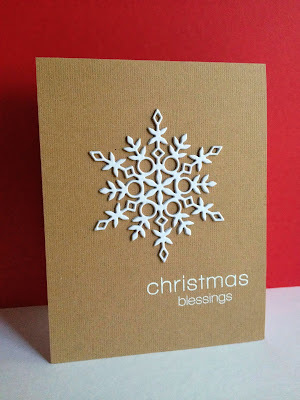 Love white on kraft!! The snowflake is fabulous on the Kraft cardstock! So very simple and elegant. Love it! Love this Lisa --- a classic CAS card, and gorgeous too! I just pinned it and may have to try it!! Have to ask--is this a square card? It is gorgeous! 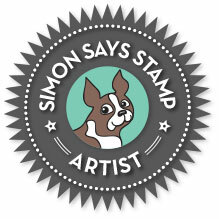 Sending you a little "Hog"
Simon Says Stamp Holiday Release!